A victim’s ex-girlfriend and two other suspects have been arrested following a Naples home invasion robbery. Mayira Okheda-Garsia, 18, Kameron Williams, 18, and Devante Sparks, 19, are facing charges of home invasion robbery: with a firearm and grand theft. Williams is also facing a charge of high-speed reckless fleeing and eluding. The victim was at his home at the 2800 block of Van Buren Ave in East Naples. As he was laying down, he heard the sliding glass door of his bedroom shatter, the Collier County Sheriff’s Office press release states. Then, the victim saw his ex-girlfriend enter the room, along with three or four other men who wore dark clothes and red bandanas over their faces with firearms. He was held at gunpoint as two gold necklaces from his nightstand were stolen. 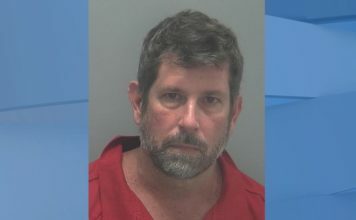 When his roommate confronted the armed men, they would leave on foot to a white Toyota Camry where they fled the scene, per the press release. Later on, as a CCSO Deputy approached the vehicle, four passengers exited it and fled on foot in an industrial park. Williams, the driver, would lead the Deputy on a high-speed vehicle pursuit before being detained. The ex-girlfriend suspected in the home invasion, Okheda-Garsia, was found hiding under a trailer in the industrial park, per the CCSO press release. When a third suspect messaged Okheda-Garsia, telling her he made it home, Deputies responded to his residence on the 3400 block of Winifred Row Lane in Naples where he was arrested. Deputies continue to search for additional suspects.